What Are the Most Helpful World Geography Resources for High School Students? Will these resources really help you in your world geography class? Well, if you truly want to do better in your class, yes–all these resources will help as long as you use them! They are valuable tools for success. Believe me, I couldn't find Timbuktu on a map. You do have a map, right? If you want to study geography, you're going to need to make sure that 1) you have a globe and 2) that any atlas you are using is as up to date as possible. Many countries have divided and political borders have been redrawn over the years. Therefore, studying an atlas that was produced even just ten years ago will not produce the results you would like. Choosing a globe is not an easy task. There are many different types of globes and each has a distinct use attached with it. When shopping for a globe, you will want to find one that is current, shows the lines of longitude and latitude, and is as detailed as possible. While gem-set globes are beautiful, they are not very useful. 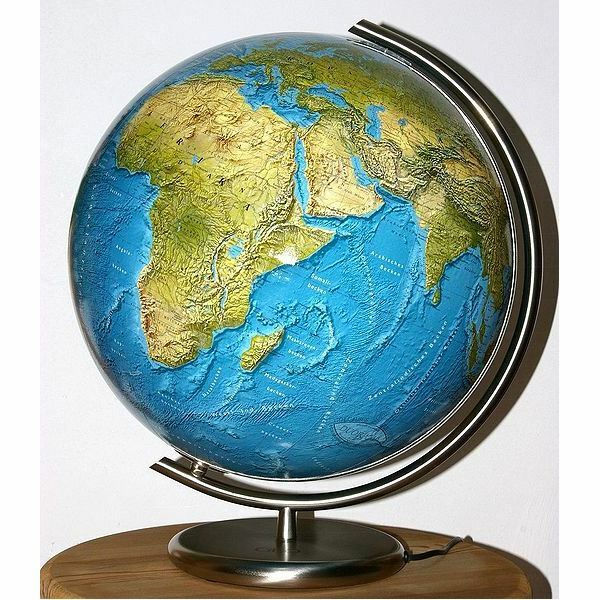 Make sure that when you're shopping for a globe, you're getting the most detailed globe you can afford. Globes will give you the most accurate depiction of where one place is in relationship to another, since any flat map is distorted. Atlases are a bit easier to choose. Atlases will give you a much more detailed view of a region. For example, if you're reading about Mesopotamia in your world history class, you may turn to your globe and find the land between the two rivers on your globe, then look in your atlas to get a more detailed depiction. The best atlas for your study is the Atlas of the World produced annually by Oxford University Press. You may also wish to invest in The Atlas of World History, which will help you in your world history classes. Any of the above three geographical dictionaries will be of great assistance when you hear the name of a place in class and can't place where it is. Look it up and then turn to your atlas to find it. In addition to the resources listed above, there are a few more great resources that will help you in your geography studies. First, you may want a wall map of the world. If you get a copy that is laminated, not only can you look up places you are studying, but you can also use erasable markers to mark where you've been, where you're going, and where you want to go in the future to help give you a grounded sense of your relationship to the external world. Another great 9th grade world geography resource you will want to look into is the Geography Coloring Book by Wynn Kapit. Not only will you learn where things are in the world through coloring in maps of nations and states, but you will also learn facts about each of the places you are coloring in and about different geographical features. By investing some time in finding appropriate resources for your studies of world geography in 9th grade, you can ensure that you can boost both your understanding of the world we live in and improve your social studies grade. Image courtesy of Christian Fischer at Wikimedia Commons.